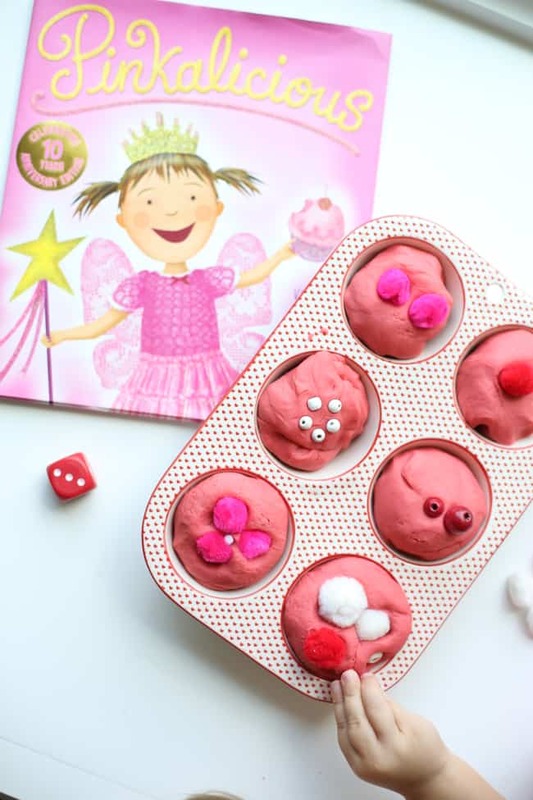 Pinkalicious Roll & Count Playdough Cupcakes - I Can Teach My Child! This month’s Virtual Book Club for Kids selection is Pinkalicious by Victoria and Elizabeth Kann. Having two boys first, there has not been much of a draw to this book and I had never read it until now. I purchased it to prepare for this month’s book club and it immediately became Little Sister’s favorite book. We have read it at least once (if not twice) every single day since it arrived. The little girl in this book makes pink cupcakes with her mother on a rainy day. She is an excitable child and immediately wants to devour as many cupcakes as she can. Much to her (and her parent’s) surprise, she wakes up the next morning and her face, skin, and hair are all pink! Her mother takes her to the doctor and the doctor diagnoses her with an acute case of “pinkitis”. The only way to go back to normal is to STOP eating pink cupcakes (and other pink food) and eat dark green vegetables instead. This was not good news for poor Pinkalicious. When her parents are asleep, the little girl sneaks downstairs, climbs on the furniture, and devours one more pink cupcake. She wakes up the following day and has turned RED instead. She immediately starts eating as many green vegetables as she can and quickly turns back to normal. But her brother has a surprise for the whole family at the end of the book that is my daughter’s favorite part. 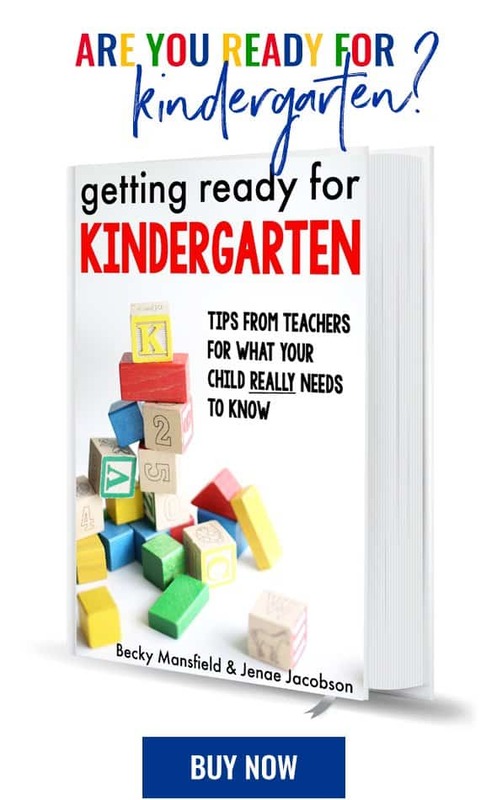 Overall, this is a cute book despite some negative reviews on Amazon. The little girl acts a little bratty, but what kid doesn’t from time to time? It just gives us an opportunity, as parents, to take a teachable moment to talk to our kids (even toddlers) about appropriate behavior. After reading this book (for the 57th time), we decided to make some cherry-scented pinkish-red playdough and play a simple counting game! 1. Start boiling the water on your stove. Meanwhile, mix the dry ingredients, including a box of Jello in your stand mixer. 2. Once your water is boiling, carefully pour the water into the bowl with the dry ingredients and mix with the hook attachment. 3. If your dough is too sticky, add more flour. If your dough is too dry, add a little bit more water. The dough should be soft but not sticky. Let the playdough cool before handling. 4. Once you are ready to play the game, have your child form the playdough into balls and place in a muffin tin. Have your child roll the die and count the number of dots. Have him/her choose the corresponding number of cupcake decorations (beads, pom-poms) and place on the first “cupcake”.